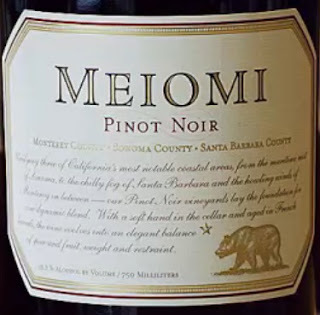 Meiomi 2017 Pinot Noir, California ($25) Soft berry nose; spicy, rich, and long. A crisp, clean blend from three important appellations (Monterey, Santa Barbara, and Sonoma), each of which imparts a special character. Aged six months in 100% French oak.